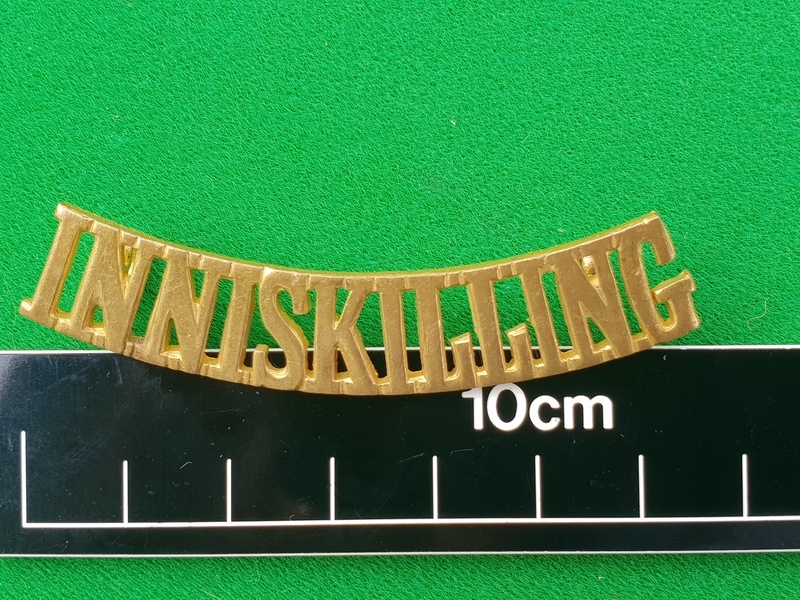 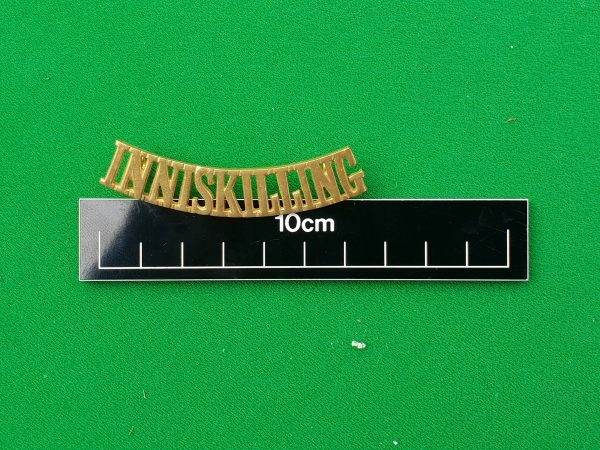 A rare gilt/brass shoulder title worn by a member of the 6th Inniskilling Dragoons. Wonderful condition and totally original. Ray Westlake describes this brass shoulder title on page 9 of his book on “Collecting Metal Shoulder Titles”. 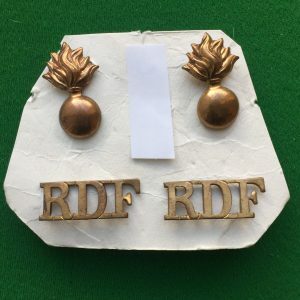 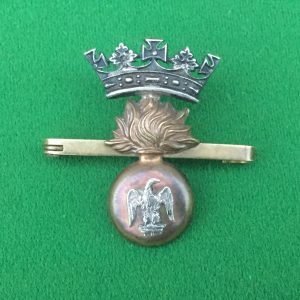 While the Regiment itself was raised in 1689, this shoulder title dates between 1920 when it replaced the earlier style title. 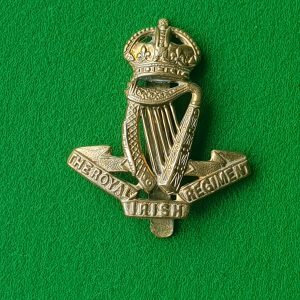 The 6th Enniskillen Dragoons Regient was amalgamated in 1922 with the 5th Dragoon Guards, so this particular title had a life of only 2 years. 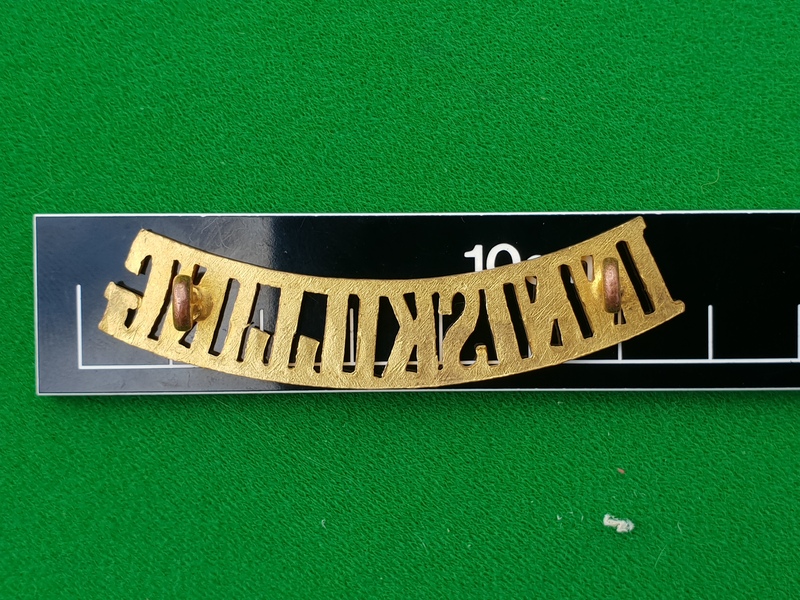 This is quite an imposing shoulder title being 64mms long 11mms high.